Vatican City, Oct 15, 2017 / 01:09 pm (CNA/EWTN News).- Vatican City announced Saturday the conclusion of the corruption trial of the former president and treasurer of the Vatican-owned Bambino Gesù hospital in Rome. The Oct. 14 communique announced the end of the trial and the conviction of former president, Giuseppe Profiti, on charges of abuse of office. The hospital’s former treasurer, Massimo Spina, was acquitted. The final hearing was held Saturday morning. The finding was pronounced after roughly two hours of deliberation. Profiti was given a penalty of one year imprisonment, one year interdiction from public offices and a fine of 5,000 euros ($5,900). However, subject to the granting of general attenuating circumstances, Profiti was granted a five-year conditional suspension of the sentence. A conditional suspension means that if a new offense is committed in the five-year period he becomes immediately subject to the penalty. The judicial board which delivered the sentence was composed of Paolo Papanti Pelletier, president, Venerando Marano, judge, Carlo Bonzano, judge, and Elisa Pacella, alternate chancellor. 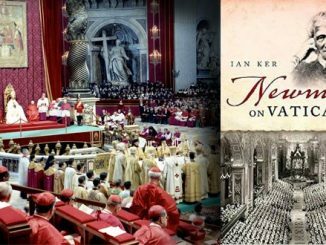 Vatican City reported it was conducting an investigation into this matter in 2016 after documents were published implying there may have been the illicit transfer of funds from the hospital’s foundation. 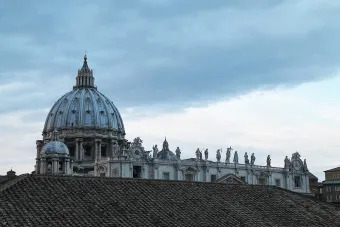 The Vatican announced July 13 it was charging Profiti and Spina with the illicit use of hospital funds in the amount of 422,005 euros ($499,000) for the refurbishment of the apartment where Cardinal Tarcisio Bertone lives. The crime was said to have been carried out during the period of November 2013-May 28, 2014 and to have benefited the construction firm of Italian businessman Gianantonio Bandera, which was carrying out the renovations on the apartment. Profiti and Spina were summoned to appear before the court by a June 16, 2017 decree from the president of the Vatican Tribunal, Giuseppe Dalla Torre. The first hearing took place July 18.